Acer Aspire 5749 (AS5749-6413) has a 15.6-inch display with a resolution of 1366 x 768 pixel. This laptop features Intel HD graphics, Intel Core i3-2350M dual-core processor, Intel HM65 Express chipset, 4 GB DDR3 memory which upgradeable up to 8 GB, and 320GB Serial ATA 5400rpm HDD. 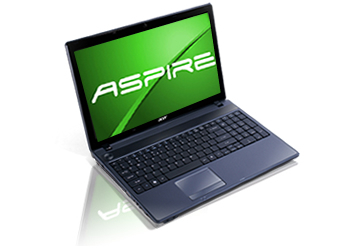 Aspire AS5749-6413 laptop computer is equipped with three USB ports, Network (RJ-45), VGA port, HDMI port, multi-gesture touchpad, 802.11b/g/n WLAN, fast ethernet LAN, 6 cells li-ion 4400 mAh battery, card reader, and webcam.